Help a Spy: What's the Best Bakery in Seattle? I need your help. I personally (as Seattle-based dessert blogger and self-proclaimed "Moderate Internet Celebrity" Jessie Oleson, A.K.A. CakeSpy) need your sweet assistance! This website is wrapping up a huge contest called "So You Wanna be a CakeSpy? ", wherein hundreds of bakers from all over the country submitted recipes inspired by CakeSpy Presents Sweet Treats for a Sugar-Filled Life for the chance to win a free trip to Seattle to hang out with me and visit some of my favorite local bakeries. OMG! Here's where you (and anyone you'd like to ask) come into the picture. Where do you think I should take the winner? Sure, there are plenty of amazing bakeries in Seattle — but which one takes the cake? Will it be a battle between the big famous cupcake shops? Or is it a delicious off-the-beaten-path destination? 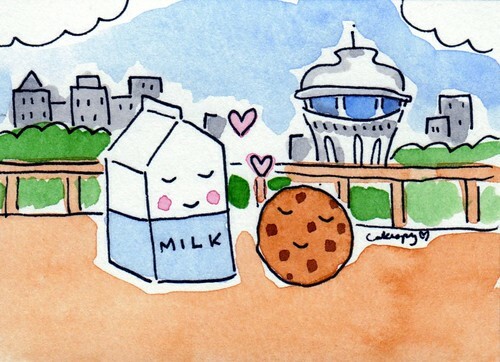 I really want to pick the best place, so I need sugar-loving Seattleites to weigh in! This is a chance to show off Seattle's stunning array of bakeries. So, Seattleites (or people who are in the know about Seattle sweet spots): Where would you take someone from out of town for the very best pastries in Seattle?